Beethoven's 32 piano sonatas represent - according to Hans von Bülow - the"New Testament" of music. Our selection volume is not quite as serious, for we also show the Bonn master from his "secular" side, with dances, trifles, the unusual character piece "Funny and Sad" and of course the indestructible piece "For Elise". The pieces range from easy to medium - as usual in our series "Am Klavier". 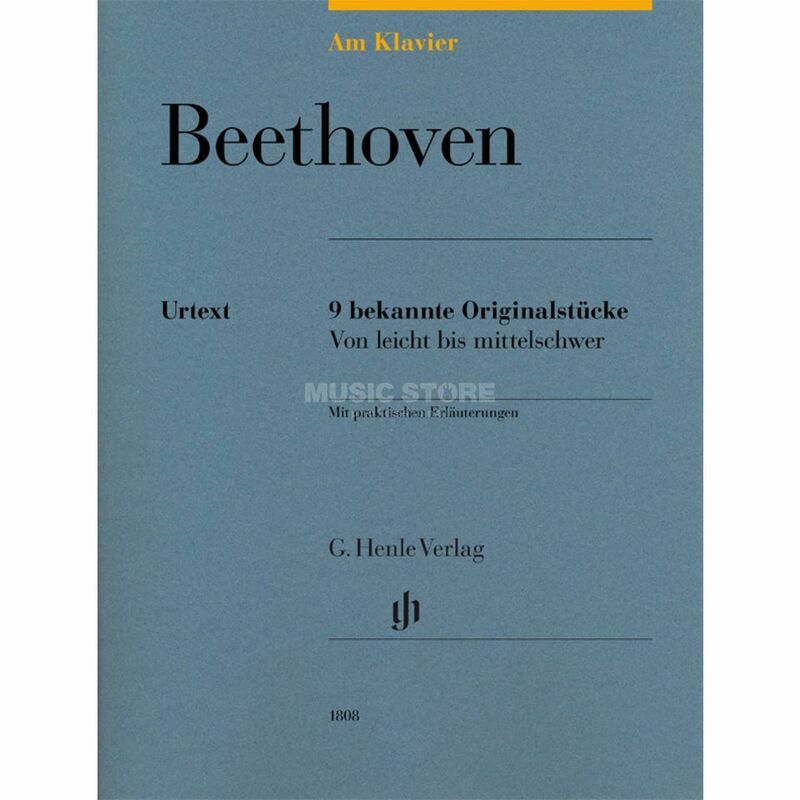 But even Beethoven's piano sonatas don't have to be immediately awe-inspiring: the very classical G major Sonata (basically a sonatina) offers an ideal introduction to his diverse sonata works. The "piano poet" Beethoven contrasts this with the first movement of the "Moonlight" Sonata in C sharp minor and the Funeral March from the A flat major Sonata - visionary creations that already point far into Romanticism.